RemotesCarKeys is an auto locksmith Grand Rapids MI, available 7 days a week, located at 1616 Diamond Ave NE. Our shop is open Mon- Fri 8a-8p, Sat 10-6p & Sun 11a-5p. We service Grand Rapids, Kentwood, Wyoming, Ada, Comstock Park, Grandville, Walker and surrounding areas. We specialize in replacement and duplication of car keys -- both mechanical and programmable car keys. We cut car keys from code using your vehicle's ID number to secure the original key cuts that came with your vehicle right off the assembly line. If you are experiencing ignition trouble -- a car key stuck in your ignition or broken in door or ignition -- our auto locksmith can help! We are a mobile locksmith with a fully-equipped van. 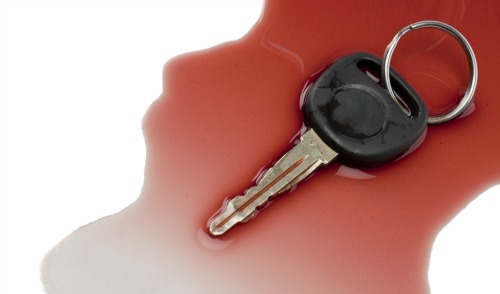 Our car locksmith will come to you and replace your vehicle keys. Avoid extra fees and towing charges associated with the dealership and the drastic solutions at the mechanic's garage. Find the best locksmith solution for your vehicle. Don't change the ignition or, even worse, the whole steering column when it might not be necessary! Let our auto locksmith come make a new key. We are able to replace car keys for models and years: Acura, Buick, Cadillac, Chevrolet, Chrysler, Dodge, Ford, GMC, Honda, Hyundai, Jeep, Kia, Lexus, Lincoln, Mazda, Mercury, Mitsubishi, Nissan, Oldsmobile, Pontiac, Saturn, Subaru, Suzuki & Toyota & Volkswagon. Replace lost car keys and broken car keys on the spot. We can assist 7 days a week, whenever you need us! No need to tow your vehicle to the dealer. . .
We'll come to you -- Don't tow your vehicle to the dealership and pay higher rates. We'll come to your car! Lightning fast turn around time. 1 - 2 Hours for Replacement Car Key. We'll need 3 things from you! And when we arrive -- proof of ownership with Photo ID. Title, valid registration or insurance certificate. Valid driver's license. Key stuck in the ignition and won't come out. Key is broken off in the door or ignition. (Don't try and dig it out yourself, you will only make it worse and more expensive to fix.) I know you might want to do it yourself -- please resist. An ignition is very complicated and filled with tiny wafers, that if bent or damaged might result in needing a replacement, when, if left alone, could be removed or replaced easily.